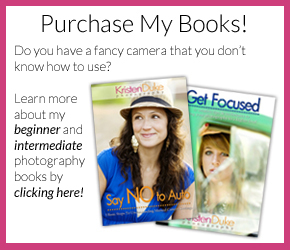 Hello, Kristen Duke fans! Isn’t she awesome?! I have been a huge fan for years, and was super excited to meet Kristen, and hear her speak, at a conference last August. My name is Jackie Hernandez. 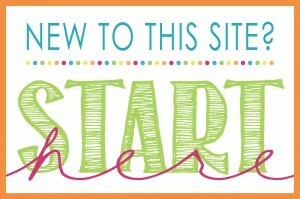 I am the creative force behind Teal & Lime, a blog and business with one goal; empowering you to decorate your own home in an easy and approachable way. I am delighted to fill in for Kristen today while she is off enjoying a family vacation. My husband and I did not meet until we were adults, but I know for sure if we were kids we would have carved our initials on a tree together. Well, for sure I would have carved our initials on a tree. 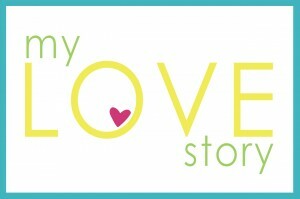 I get all sappy and sentimental around Valentine’s Day and can’t help finding fun new ways to express our love. 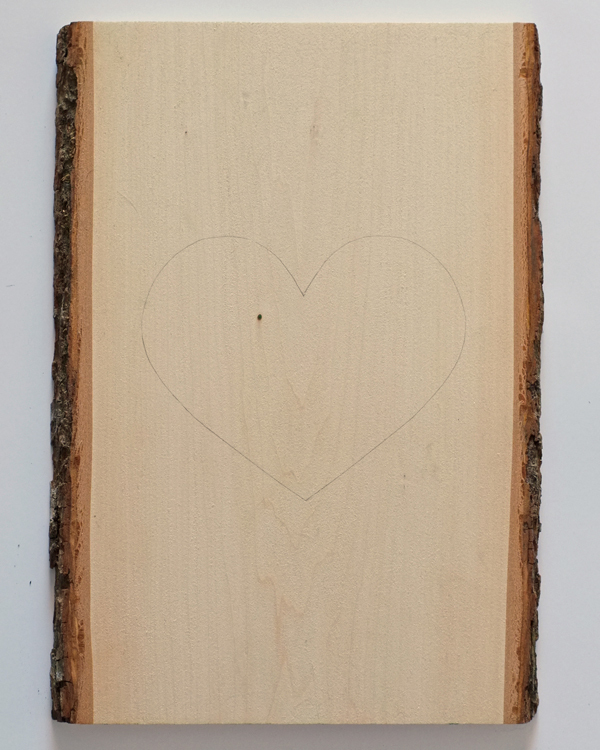 Today’s project was inspired by my make belief tree carving love declaration we would have made if we met when we were younger. But this is even better, because it is not on some random tree somewhere, it is right here on our mantel. I enjoy decorating for holidays, but always prefer to use things I already have. Over the years, I have built up a collection of party decor and home accessories that I love to re-mix into holiday vignettes. 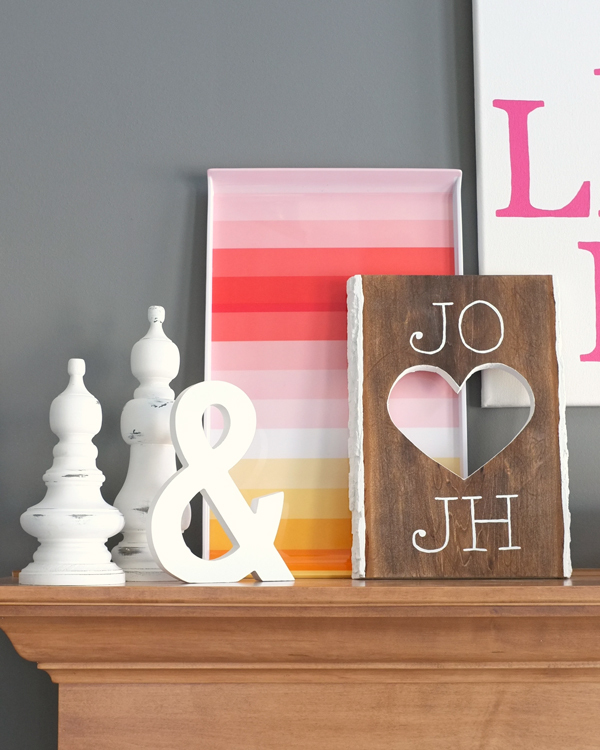 Thankfully, I get a big jump start on Valentine’s decorating every year by swapping out the art over the mantel with the DIY Live, Laugh, Love art I painted…in a perfectly Valent-astic hot pink! From there, I add in other pieces from around the house, and maybe one new simple project each year. On my blog today, I am sharing the Anatomy of a Decorated Mantel. Check out my no-fail formula for simple holiday mantel decorating. This year the new piece on the mantel is a modern tree carving. Instead, of carving into the bark of real tree, I created something we can carry with us always. 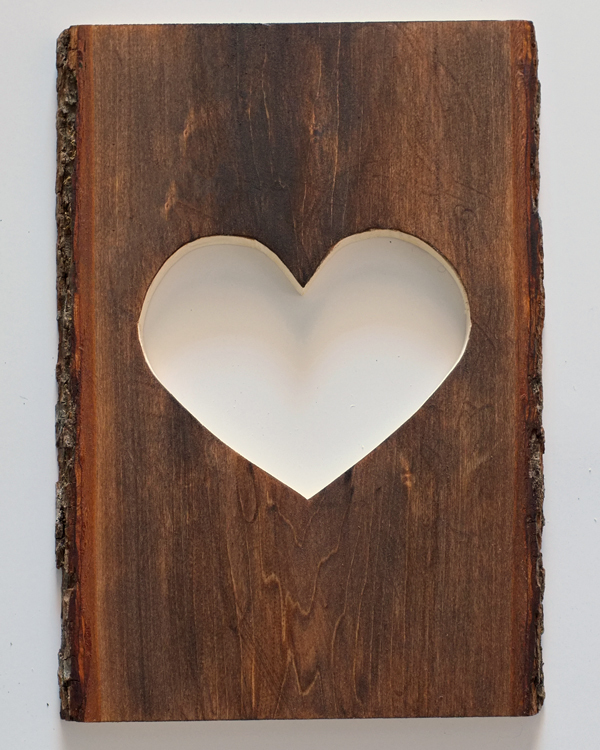 And, I love it so much, I am determined to work it into a gallery wall after Valentine’s day. 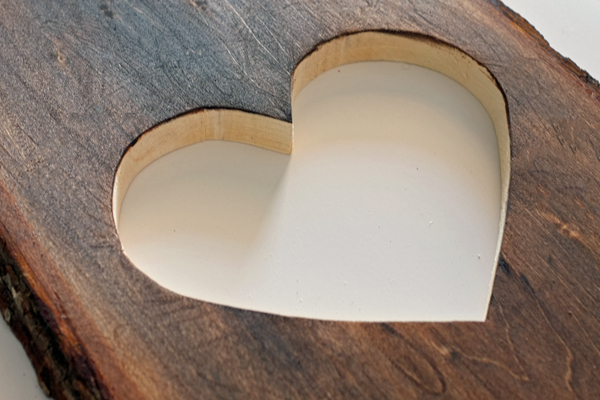 To make your own cut-out heart plaque, start with a bark-edged plaque from the craft store. You can buy tree rings as well, but I loved this vertical cut with bark running down the sides. Draw a large heart in the center with a pencil. 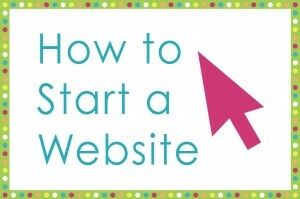 Then, use a drill to make a starter hole. 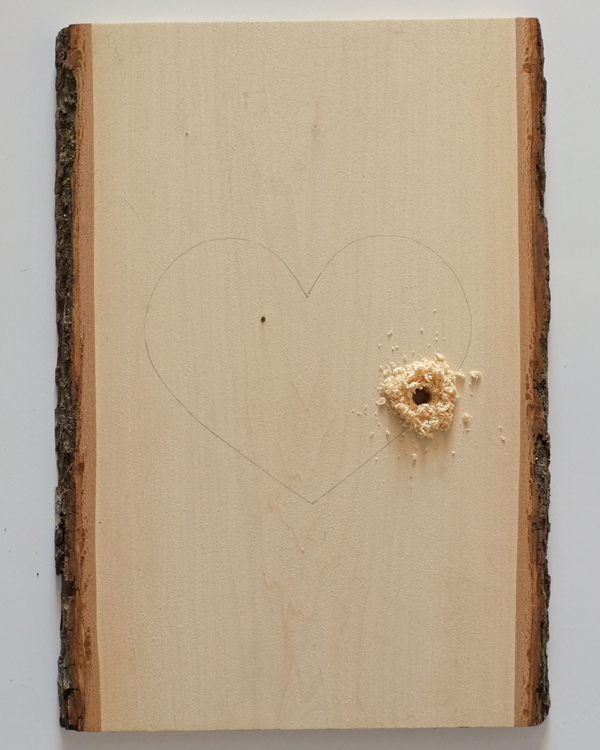 From the starter hole, cut out the heart shape with a jigsaw. 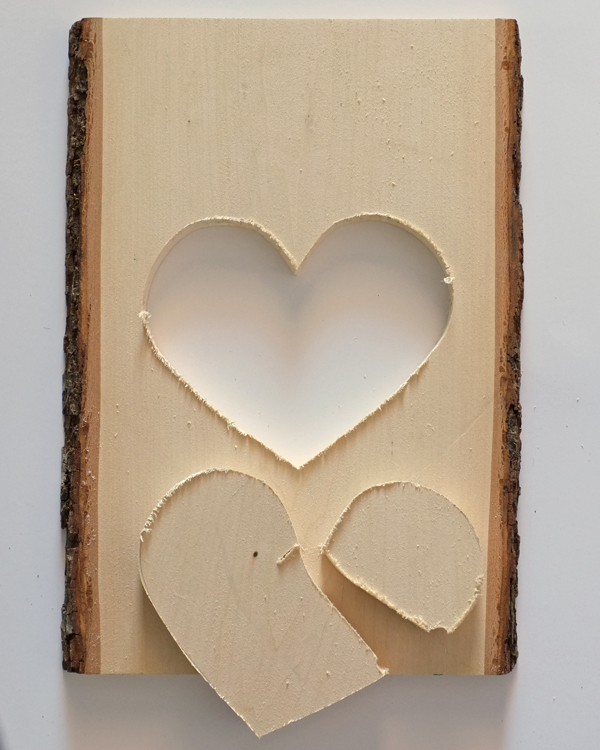 Use a small sander or sandpaper to smooth the edges inside the heart cut out. The vision for my finished piece was high-contrast. 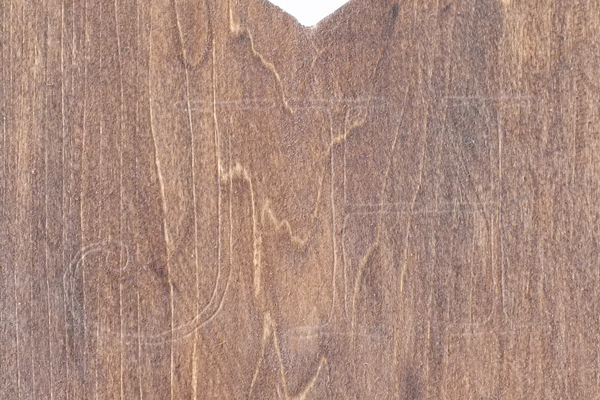 I started with a dark walnut stain on the bare wood. Then, I used pure white chalk paint to coat the bark on the edges, paint the inner rim of the heart cut-out, and to add the initials. All that remained was adding the initials. JH for my hubby. 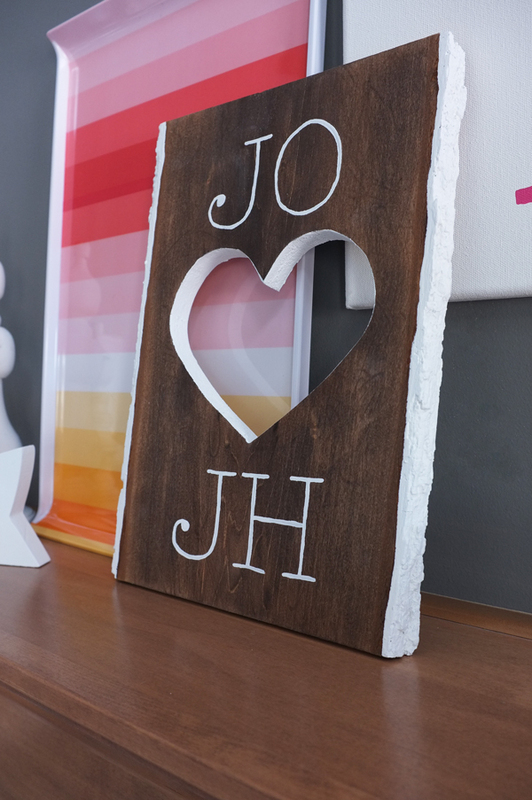 And JO for my maiden name…you know the initials I would have carved into the tree if we met when I was still in note-passing, boy-crushing, doodling-flowers all day long stage of life. Instead of carving the initials, I wanted them to pop. 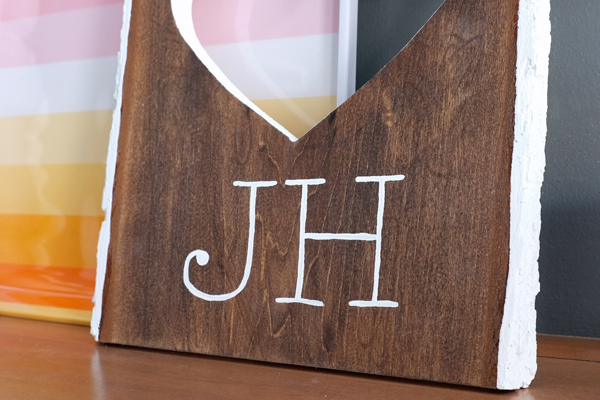 I used the white chalk paint to hand paint on the initials. 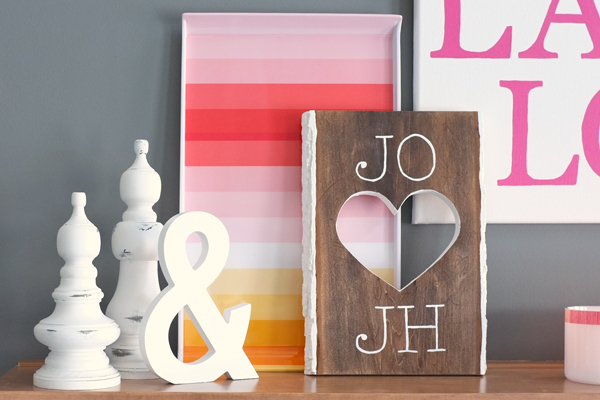 The easiest way to transfer lettering to wood, especially soft wood like this pine, is to print out the text the exact size you want. Place the paper over your wood. Trace the letters firmly with a ball point pen. The pressure from the pen will make faint indents in the wood, just enough to guide you as you paint. 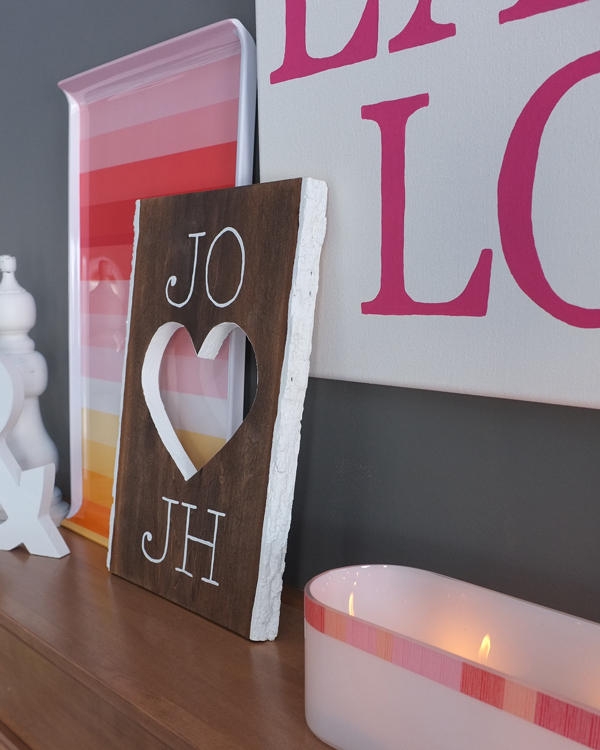 I am pretty smitten with how the mantel turned out, but I have a big soft spot in my heart for our new heart cut-out plaque. I think after the holidays, it will be moving to the gallery wall in our master bedroom. Don’t forget to come over to Teal & Lime today to learn about the Anatomy of a Decorated Mantel. I will share with you my 7-step formula for creating easy holiday mantels!